Americans have always been proud of their work ethic. Millions of immigrants arrive here with little more than a suitcase and a dream. Through sheer determination and maybe a break or two along the way, they overcome long odds and make something of themselves. How many of us have been conditioned to believe in a direct correlation between success and the amount of time we spend at the office? Eight-hour workdays? Please. The other guy is putting in 12 or 14. Feeling guilty punching out at 5 with work still piled on your desk? Feeling a bit coerced when your boss asks you to volunteer to work overtime? Don’t look now, but if your job has become your life, you may be in trouble. Sacrificing family and social time – not to mention sleep and good health – for a plumper paycheck may not be wise. In fact, working excessive hours actually may be diminishing your productivity and efficiency. According to Yoshie Komuro, CEO of Work Life Balance Co. Ltd, in Tokyo, the results can be overwhelmingly negative when you habitually spend more time at the office. And she’s in an ideal position to know – considering the slavish perseverance of the Japanese workforce. Convincing employees that a scaled-back schedule will help boost performance and alleviate exhaustion is a challenge, Komuro admits. She says people worry that they’ll compromise their productivity and competitive drive – even though research indicates the opposite. 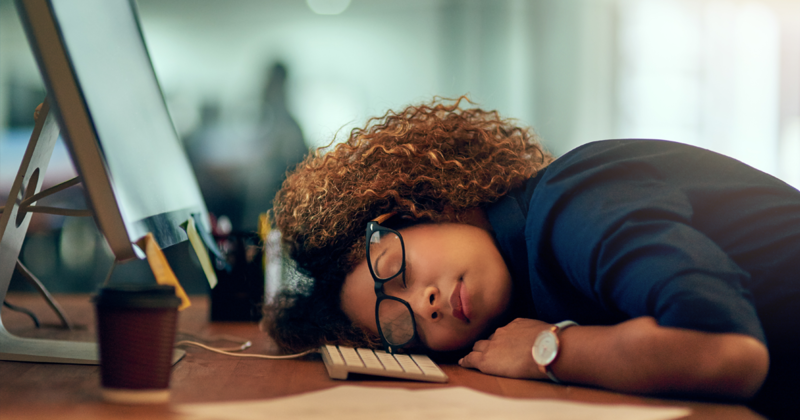 In a piece for Forbes, former corporate marketing executive Kathy Caprino explains how she routinely stayed late at the office to keep pace with a “massive workload” and also to impress management. But now in retrospect, Caprino, a career coach and consultant, recognizes that she was her own worst enemy. According to informed observers such as Komuro and Caprino, employees ultimately are responsible for taking a stand and not allowing a job to define life’s parameters. It may mean fleeing the corporate universe – as Caprino did – or reordering priorities.